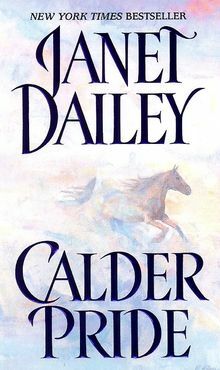 Janet Dailey's first book -- a Harlequin romance -- was published in 1976. In the twenty years since, she has written 89 more novels and become the third largest selling female author in the world, with 300 million copies of her books sold in 19 languages in 98 countries. Her most recent bestsellers, Masquerade, Rivals, and Heiress, have all sold more than one million copies each. She is known for her strong, decisive characters, her extraordinary ability to re-create a time and place, and her unerring courage to confront important, controversial issues, like alcoholism and sexual abuse, in her stories. 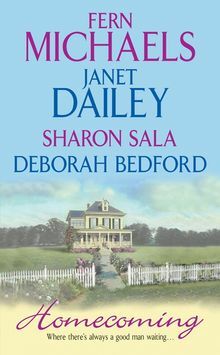 All of her novels are meticulously researched, an endeavor she shares with her husband, Bill Dailey. The couple met in 1963, when Janet worked as a secretary for the construction company Bill owned. The two travel extensively to scout story locations, and have visited all 50 states; these days, they are likely to fly, but miss the time when they drove cross country, a trailer attached to their car. 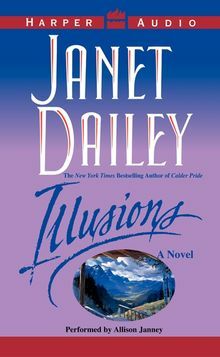 Janet Dailey also reads voraciously about every aspect of any subject she writes about; as she remarks, "Accuracy is important in genre fiction; you have to get it right, zero in on the real details. That's the way to make writing come alive and not irritate the readers with carelessness." When they are not traveling, the couple spend time at their home on the shore of Lake Taneycomo in Branson, Missouri. It is the part of the country Dailey loves best, partly because, she says, "The people around me are more interested in their problems and their lives, and that sort of keeps me in touch with reality. They think it's nice that I write, but they really couldn't care less." Allison Janney has been featured on Broadway (Present Laughter), in films (Big Night and First Wives Club) and on television shows on all four networks.